Do you collect yarn faster than you knit it? You aren’t alone! Do you find that you can’t leave those orphan skeins in the yarn shop clearance basket? Do you have “just a few” single skeins waiting to be whipped up into odd-ball sweaters for your family, including your parents, in-laws, aunts, uncles, nieces, nephews and cousins? Do you break out in a sweat ’cause you just gotta order that luscious new yarn you saw in the latest knitting magazine before the manufacturer discontinues it? Then you, my friend, are a Yarnaholic and you are in Good Company. Come join other serious Yarnaholics who may (or may not) be looking to move that yarn stash along. Formerly located at Yahoo! 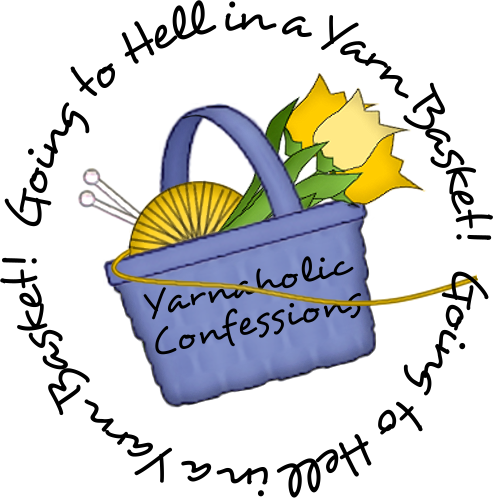 geocites, Yarnaholic Confessions started as a collection of yarn and knit-related stories shared by knitters on various knitting lists. The old site went live in November 1999 and went dark on October 26, 2009 when Yahoo! pulled the plug on geocities. Thanks Yahoo! for a fun 10 years! This site went live in April 2009.